For many people, the advantages and benefits of a gluten free diet translate to better health. For people struggling with inflammatory diseases and autoimmune disorders, gluten free has proven to be extremely beneficial. Nowadays gluten free has become part of a healthy lifestyle and its popularity is still growing more an more among people, not only those who are affected by some specific disorder. At Pesto and Co. we consider this aspect of modern and healthier nutrition, a crucial point in every individual’s lifestyle, and therefore we always add new products to our gluten free range. With the gluten free patisserie it’s easy to combine an healthy point of view with a tempting treat, two things that normally don’t belong to the same universe. It is important nowadays being able to offer to restaurants and bars, but also to enrich shop shelves something that is healthy without losing its appeal as an attractive product such as a cocoa canestrello at the end of a meal to remind you that it is possible to go healthy without going tasteless. 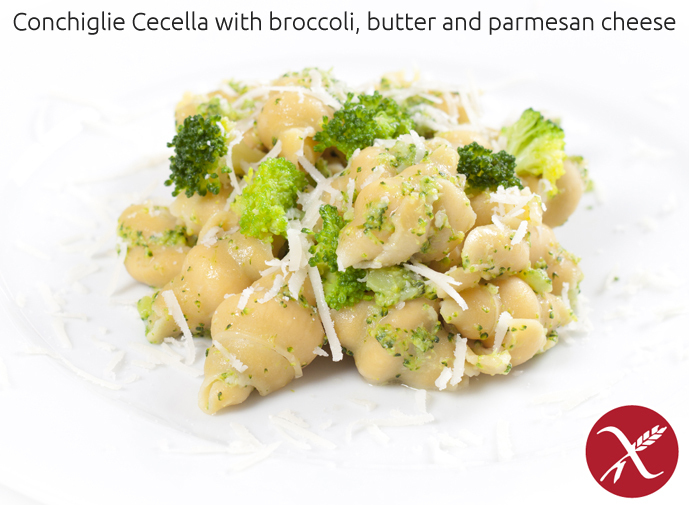 It ‘n not only sweets we are talking about here, Pesto and Co. presents and suggests interesting recipes using Pasta Cecella, a 100% gluten free pasta made with chickpeas flour, that thank to its particular taste brings creativity to an healthy way of living.